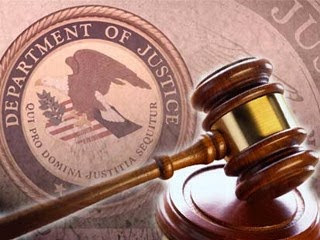 A federal grand jury sitting in Chicago, Illinois returned an indictment on Feb. 11 against a resident of a Chicago suburb, charging him with 10 counts of wire fraud, 10 counts of aggravated identity theft and one count of access device fraud, announced Acting Assistant Attorney General Caroline D. Ciraolo of the Justice Department’s Tax Division and U.S. Attorney Zachary T. Fardon of the Northern District of Illinois. The defendant had his initial court appearance earlier today. Jonathan Herring aka Byron Taylor, Marco Brown and Quang Dang of Harvey, Illinois, participated in a stolen identity refund fraud scheme, according to allegations in the indictment. Herring obtained the means of identification of actual individuals, including their names and social security numbers and used this information to prepare false tax returns. Herring is alleged to have obtained stolen identities of members of the U.S. Air Force, among others. Herring used the stolen identities to electronically file false income tax returns seeking tax refunds with the Internal Revenue Service (IRS). Herring is alleged to have received the fraudulently obtained tax refunds in the form of direct deposits into various bank accounts that he controlled. If convicted, Herring faces a statutory maximum sentence of 20 years in prison for each count of wire fraud, 10 years in prison for one count of access device fraud and a mandatory sentence of two years in prison for aggravated identity theft, which will run consecutive to any other prison term he receives. Herring also faces substantial monetary penalties, supervised release, and restitution. Acting Assistant Attorney General Ciraolo commended special agents of IRS Criminal Investigation, who investigated the case and Trial Attorneys Michael C. Boteler and Timothy M. Russo of the Tax Division, who are prosecuting this case.